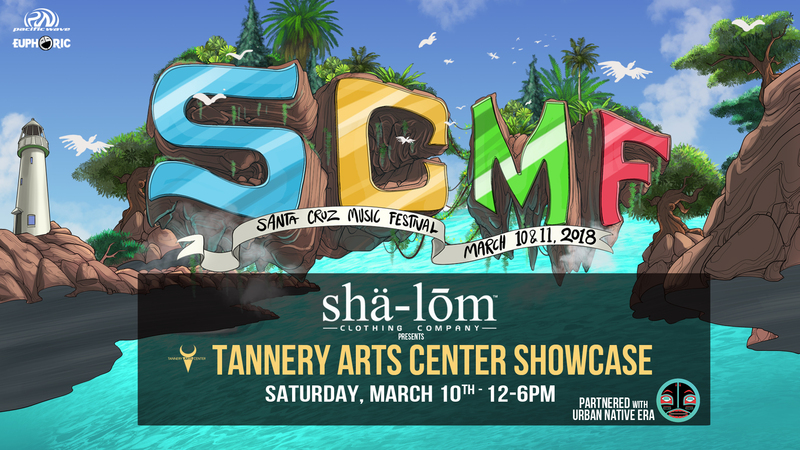 Shalom Clothing & Sofar Sounds present The Tannery Arts Center Santa Cruz Music Festival 2018 Takeover. This is a kid-friendly event. We will have games, and live artists. Hip Hop and Soul all day long. 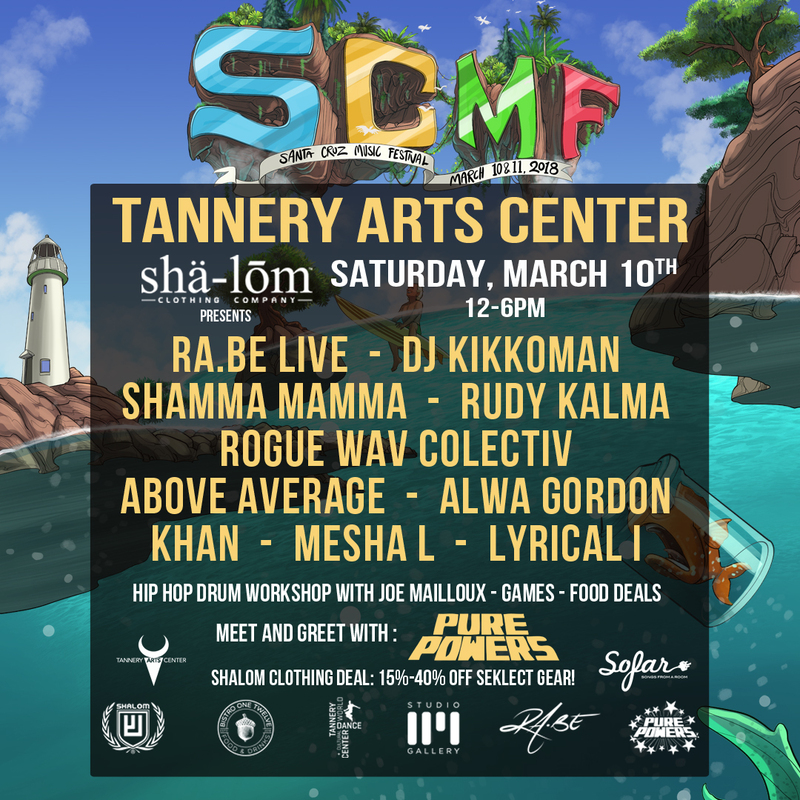 This lineup is curated in association with Urban Native Era. FREE Hip Hip drum workshop with JoeMailloux. Meet And Greet with Pure Powers! WHEN YOU GET YOUR TICKETS TO RECIEVE A DISCOUNT ON YOUR FULL EXPERIENCE PASS.